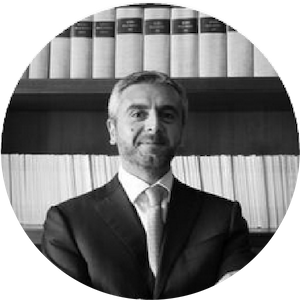 Gianluigi Ascenzi has an extensive expertise in all areas of aviation law, with over 16 years of practice. He concentrates on commercial, cargo and private jet carrier transactions, with broad experience in the structuring and negotiation of acquisition, financing and leasing operations and portfolio sales. Gianluigi provides a full range of legal services to clients involved in the industry, guiding financial institutions, lessors, lessees, airframe and engine manufacturers, airlines, purchasers and sellers of aircraft equipment, through complex domestic, cross-border, multidisciplinary and multijurisdictional matters. Gianluigi’s practice covers work which ranges from regulatory issues to the drafting, negotiation and closing of sophisticated transactions and agreements (such as operating leases, code-share agreements, wet leases, maintenance and technical services agreements). Gianluigi also advises clients with respect to issues relating to corporate governance, commercial law, regulatory compliance, M&A transactions, antitrust issues, acquisition and management of assets. He is an attendee at aviation conferences worldwide and contributes to international publications on aviation law. Gianluigi Ascenzi is a member of the bar in Italy. He received his law degree from LUISS – University of Rome in 2000.